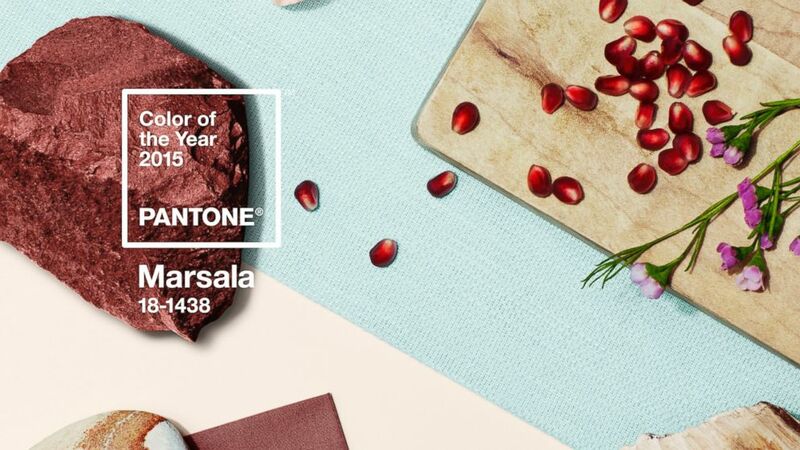 The Wall Street Journal confirmed yesterday that the Pantone Color of the Year for 2015 is 18-1438 Marsala. Marsala is an earthy reddish tone that is slightly pinker than your basic brown and mixes well with metallic copper and gold tones. It is right in the middle of burgundy and maroon and makes for a great shade of fall lipstick. It’s time to brace yourself for the onslaught of fabrics, paint colors, flooring and countertop surfaces arriving soon in all shades of Marsala. I would expect it to be a much more usable color in home interiors than last year’s vibrant Radiant Orchid. Leatrice Eiseman, executive director of the Pantone Color Institute, said the color would enrich the mind, body and soul.